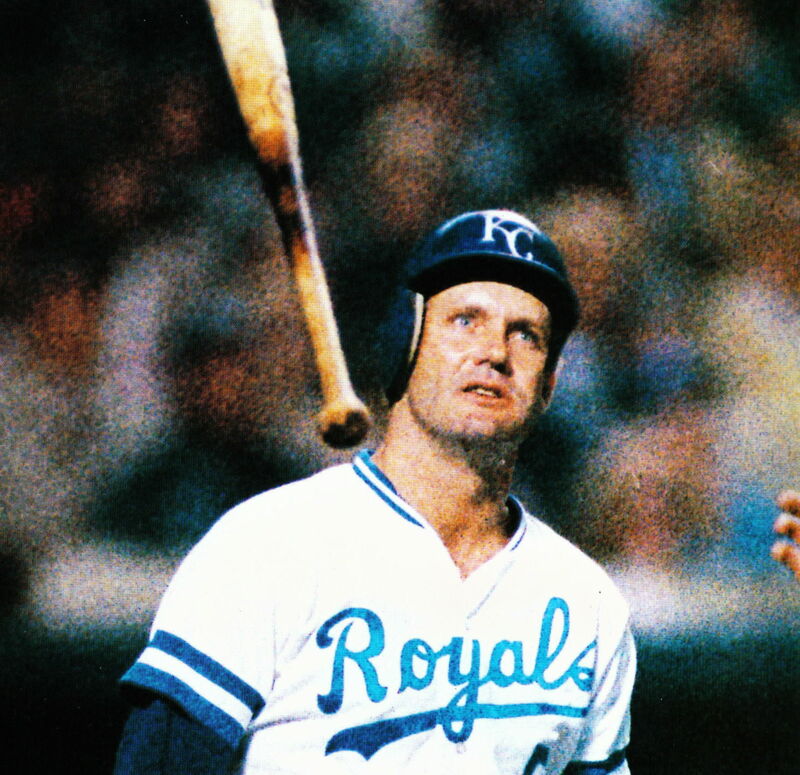 Perhaps no player is better known for his use of pine tar then is George Brett. 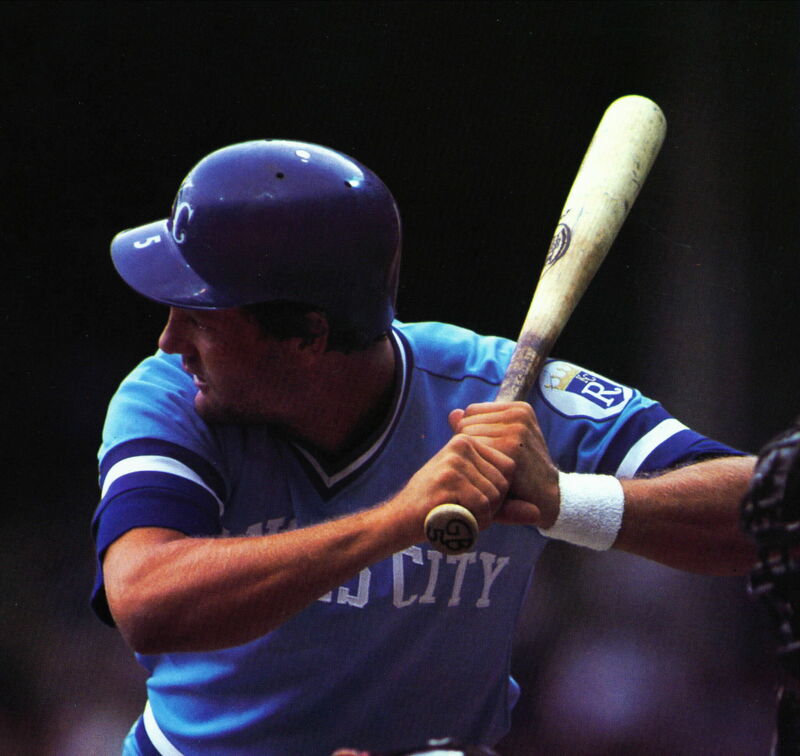 Brett and pine tar became synonymous in early 80s when George was ejected from a game and a HR called back because the pine tar on his bat exceeded the legal limit. Upon being informed of the situation, Brett exploded in arguably one of the most animated outbursts in baseball history. The most common models that I have seen are B351, C271, and T85. It is also believed that Brett used Adirondack models 194VP and 387B. I have owned about 10 Brett game used bats over the past 20 years, admired many more in major auctions, and examined countless Brett photos. Perhaps more then any other player in the 80s, collectors seem to be extremely selective about Brett bats always looking for very specific use characteristics. Although Brett was a pine tar user, the myth may exceed reality in some regards. Over the years I have seen late 80s Brett bats literally dipped in pine tar extending from the knob into the center oval (20"). Brett did use pine tar but as far as I am aware applied the pine tar in a methodical manner and did not actually dip his bats in pine tar. The rule of thumb on Brett bats are that the amount of pine tar and use should be consistent. Allow me to explain. 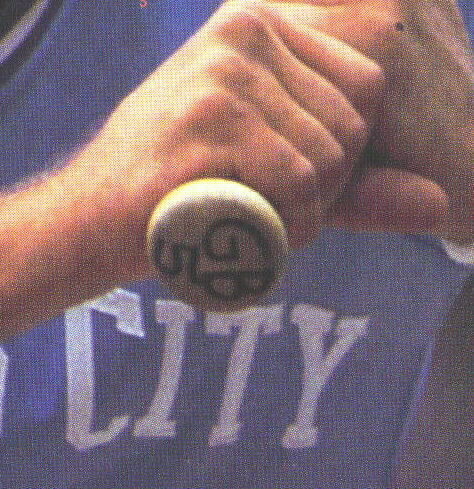 Brett would generally apply pine tar to the middle of his bats, just below the center oval. 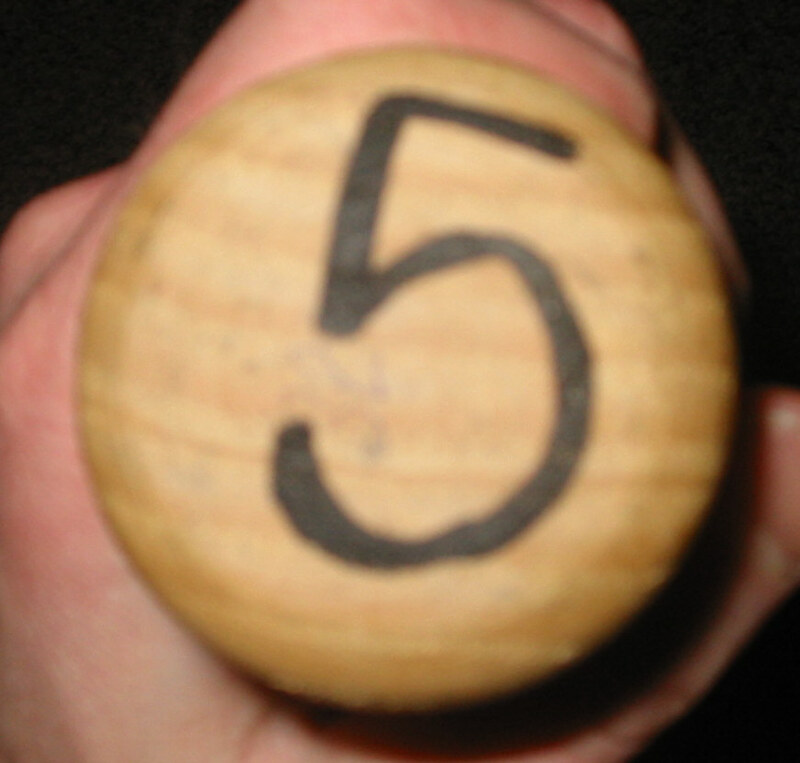 When he would come to bat, he would use the opine tar he applied to the center of the bat to prep his hands. The pine tar would naturally transfer from his hands to the handle of the bat. 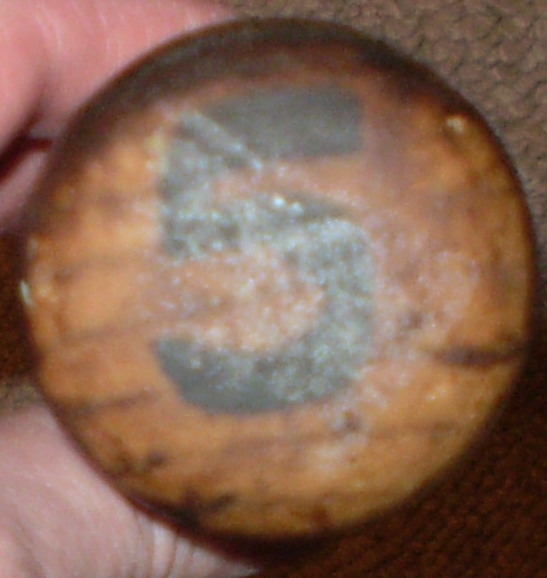 The longer he would use a bat, the more pine tar he would put on it (just below the center oval) and the more would transfer tot he lower handle just above the knob. Therefore, bats that show heavy amounts of pine tar should show equally heavy amount of use.  You will generally see the heaviest concentration of pine tar just below the center oval with pine tar just above the knob to a lesser degree. Bats that show lighter use, have less pine tar. A Brett bat that is covered in pine tar with little or no use on the barrel is suspect in my opinion. It is worth noting that the amount of pine tar he used seemed to increase toward the end of his career. I have seen the heaviest concentration of pine tar on his bats from the end of his career in the early 90s. 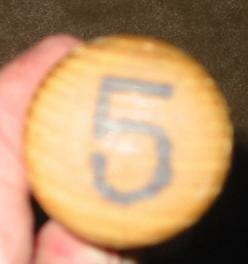 Another common element in Brett bats is labeling on the knob. I have seen Brett bats marked three ways on the knob. 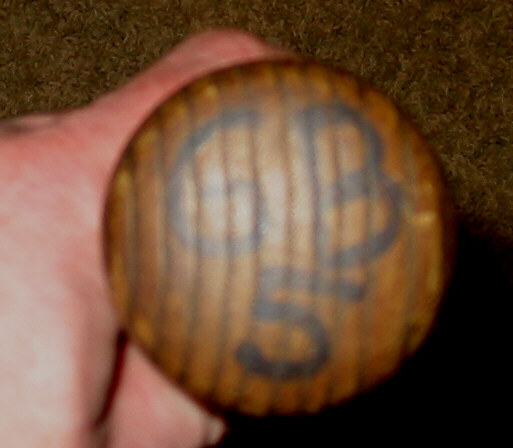 I have generally found that Brett either puts a very large number "5" on the knob (covering almost he entire knob) or "GB 5". On rare occasions Brett has been known to put LOU on the knob. Apparently LOU was a nickname used by close friends and teammates. In the photos below, notice the consistency in the pine tar application. All of these Brett bats have the majority of pine tar on or just under the center oval. All of these bats have pine tar to some degree on the handle area. 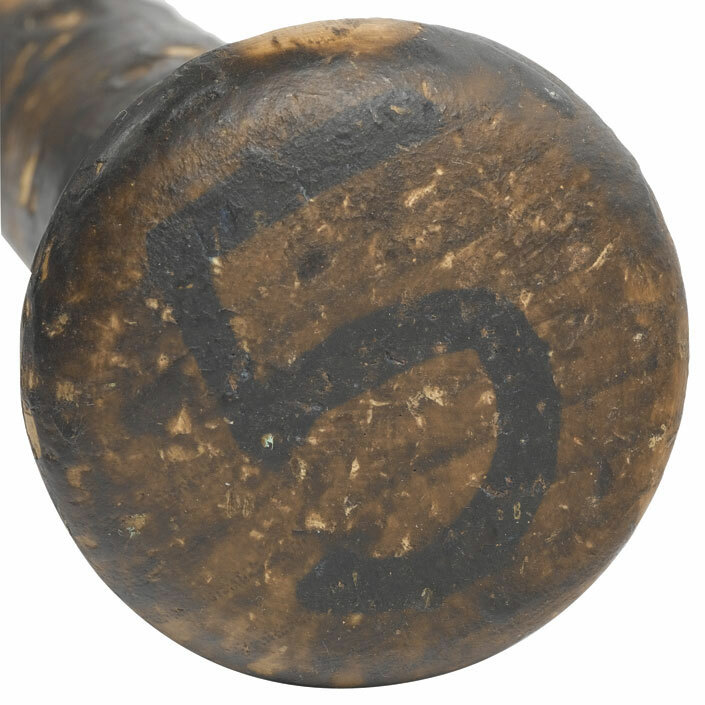 There is a direct relationship between the amount of pine tar at the center of the bat, the amount of pine just above the knob and the am amount of use on the barrel. The photos above show two of the three variations (5 and GB ). 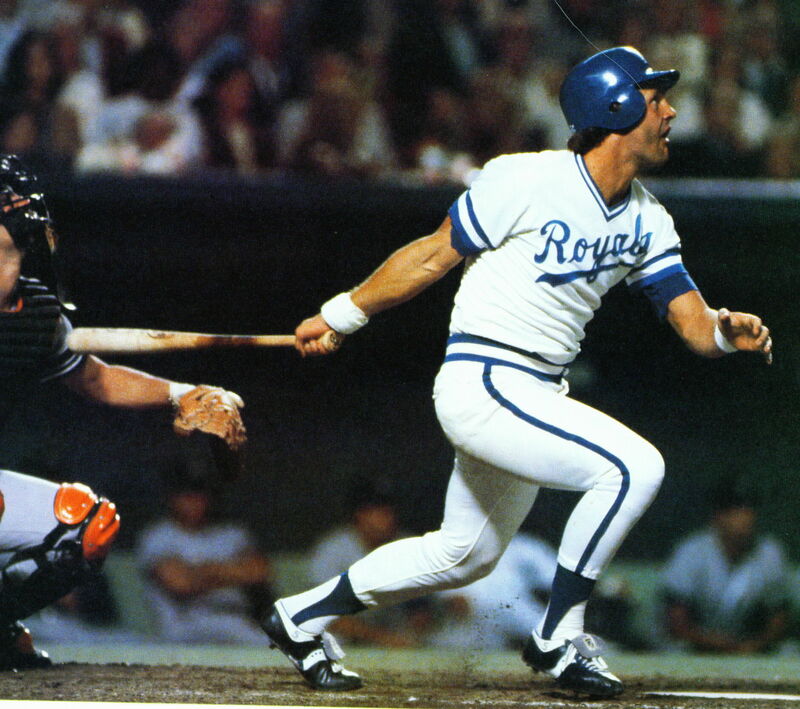 The picture below shows Brett at the plate with a bat that has GB 5 on the knob.